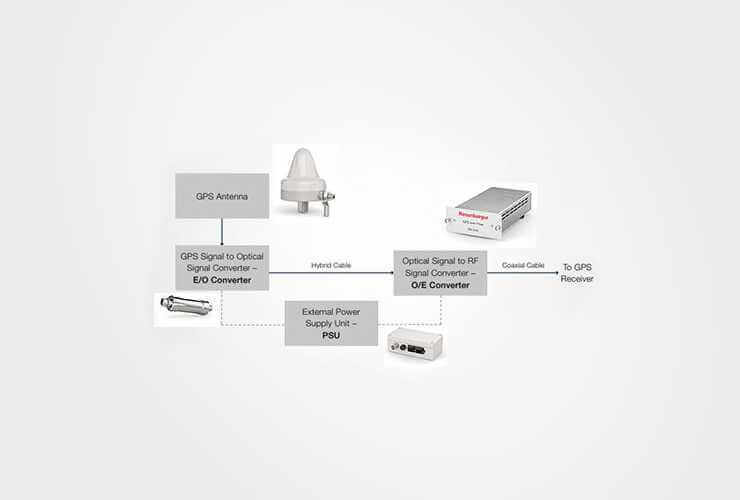 Rosenberger presents a new and innovative GPS over Fiber system for applications where coax cannot be used to route the GPS signal to base stations. GPS over Fiber System means distribution of the GPS signal over long distances. It converts the RF signal to an optical signal, then back again. The products range includes GPs antennas, converters and external power supply units.